Game Day Baked Goods | I Am Not A Restaurant! And by game day, I mean Ohio State vs anyone. Never underestimate a food manufacturer’s test kitchen. You need not use the brand names, but the following recipes are all winners, as was the team on Saturday. I sent the photo out Saturday – now recipes to match. The links to each are below. **As a special note – our family sympathies are with the family of the Ohio State player who recently lost his life. It’s a terrible tragedy. 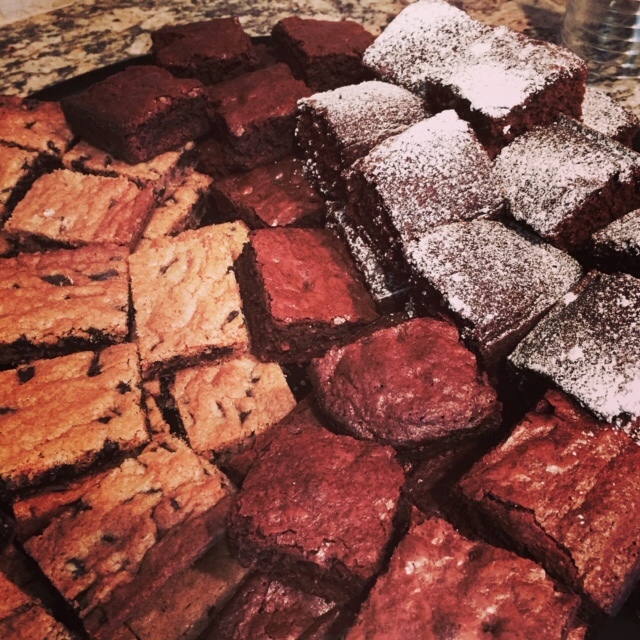 Dec1December 1, 2014 • By Betsy Karetnick • This entry was posted in cookies, Dessert, Dish of the Day, Recipes and tagged baked goods, brownies, cookies, Ohio State Buckeyes. Bookmark the permalink.